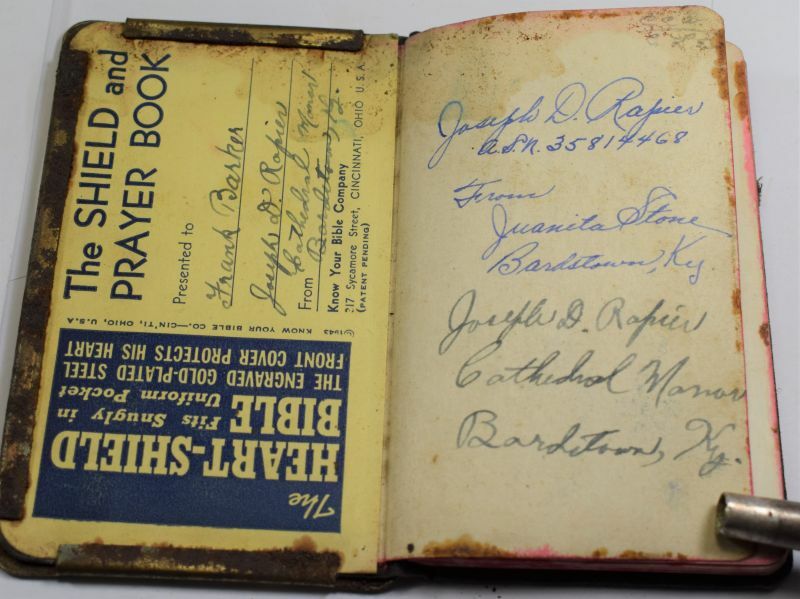 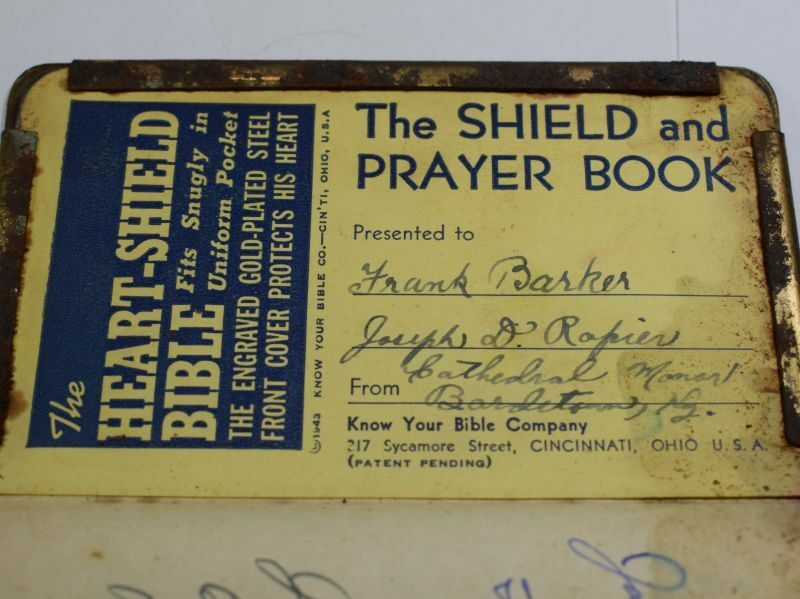 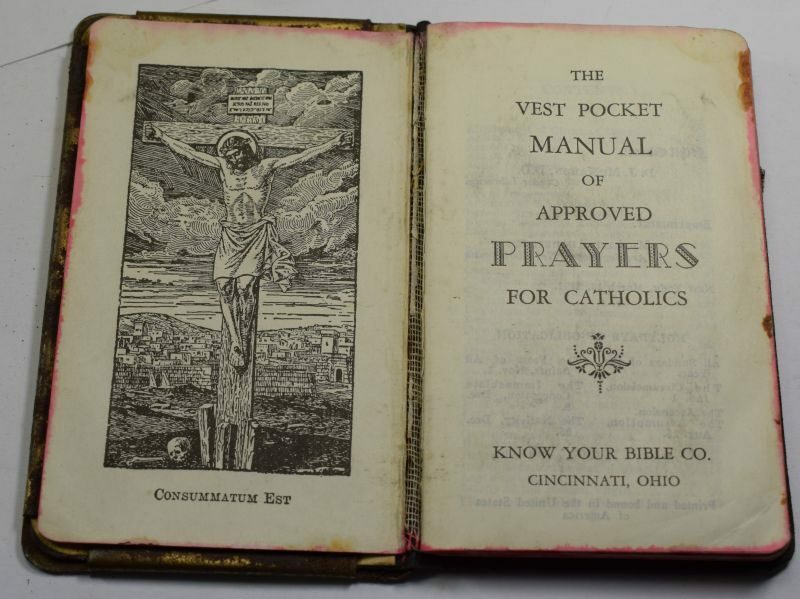 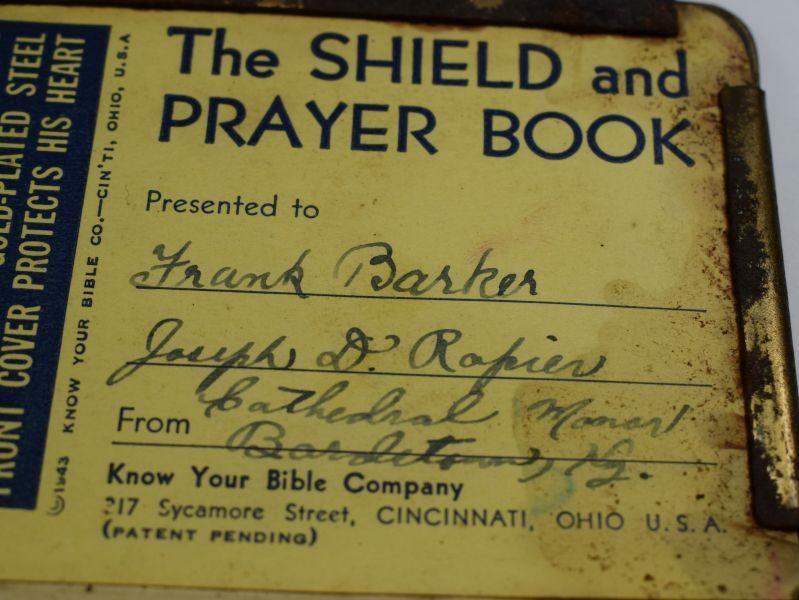 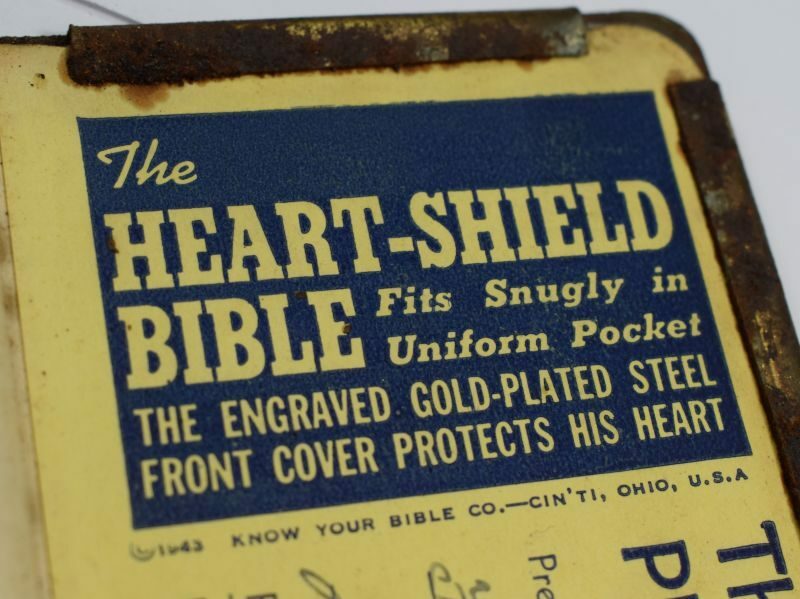 An interesting 1943 dated US military Heart-Shield Bible, designed with a metal front for wear in the left breast pocket next to the heart, it was supposedly to stop a bullet but more of a comfort to the wearer. 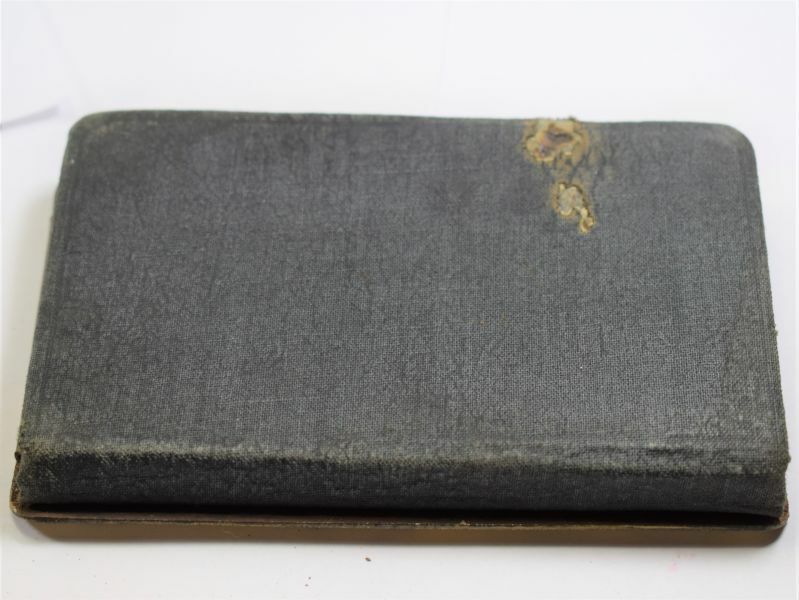 The cover is in good order with much original gold painted finish but does have scratches and wear from age. 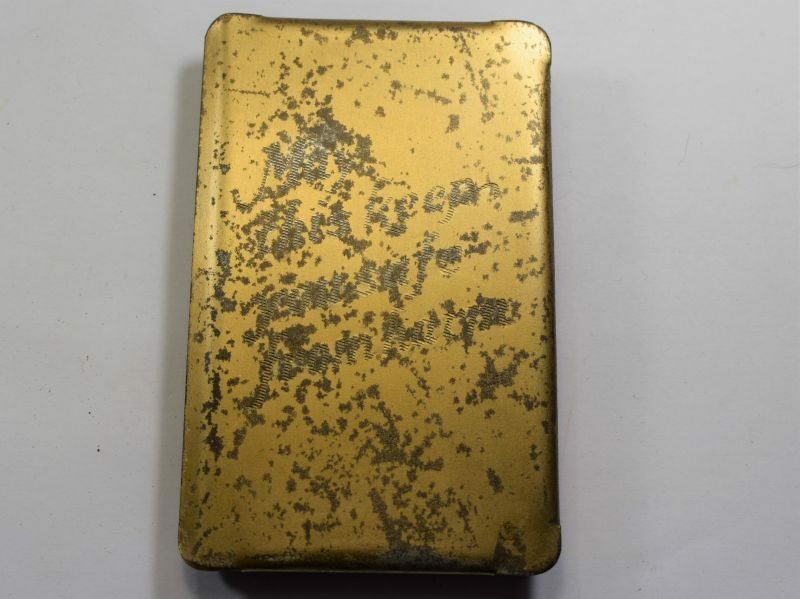 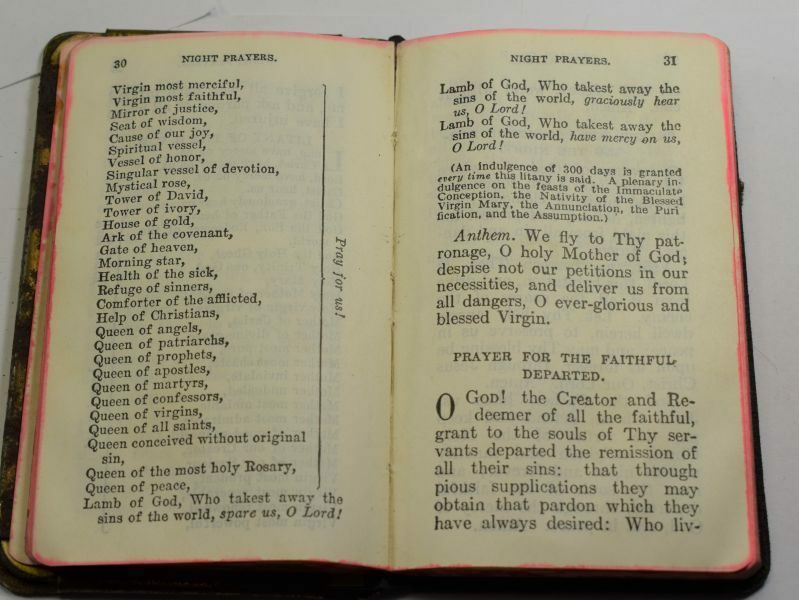 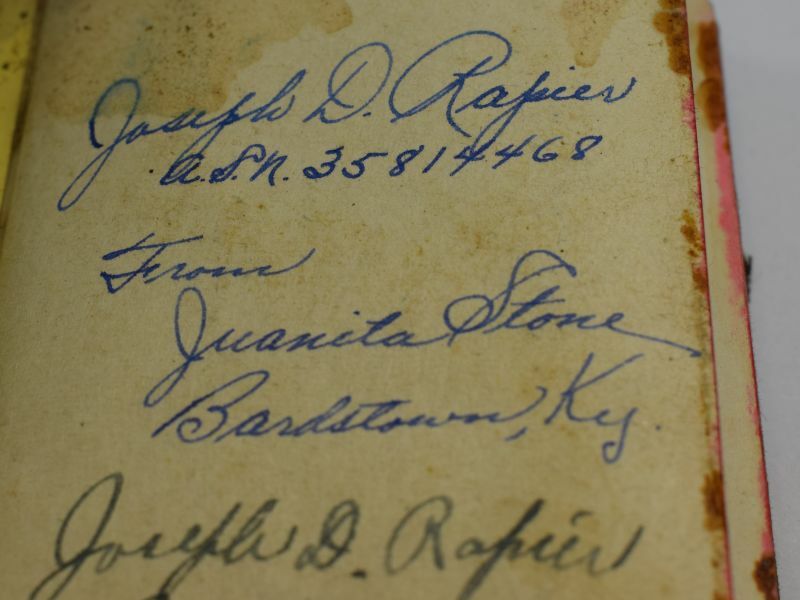 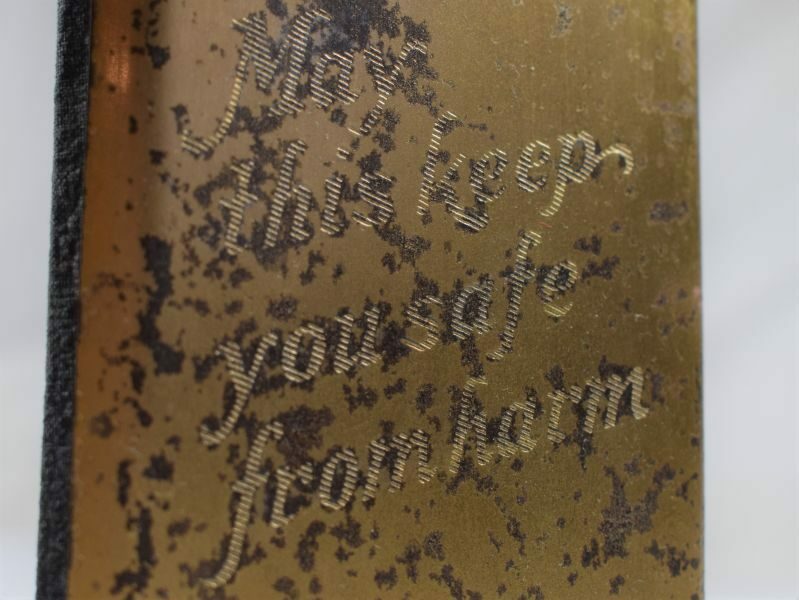 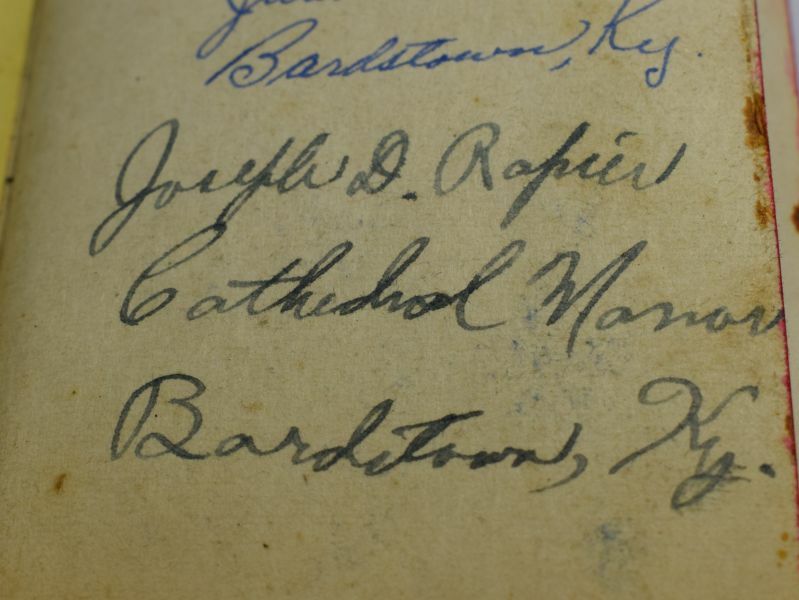 the inscription to the front reads “May This Keep You Safe From Harm” the writing is clear from certain angles (see photos) the inside cover good and strong but does show dirt and stains to the paper and minor surface rust to the metal edging. 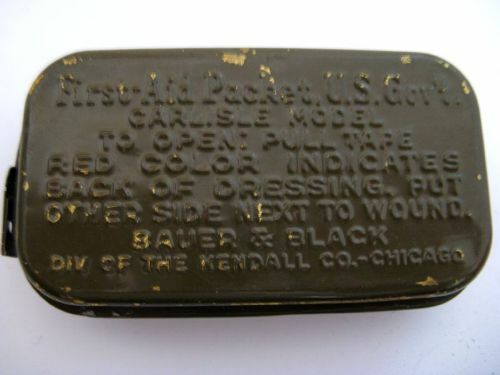 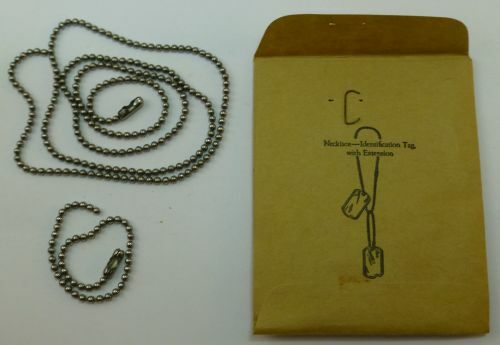 It is nicely marked with the soldier’s name, army service number etc. 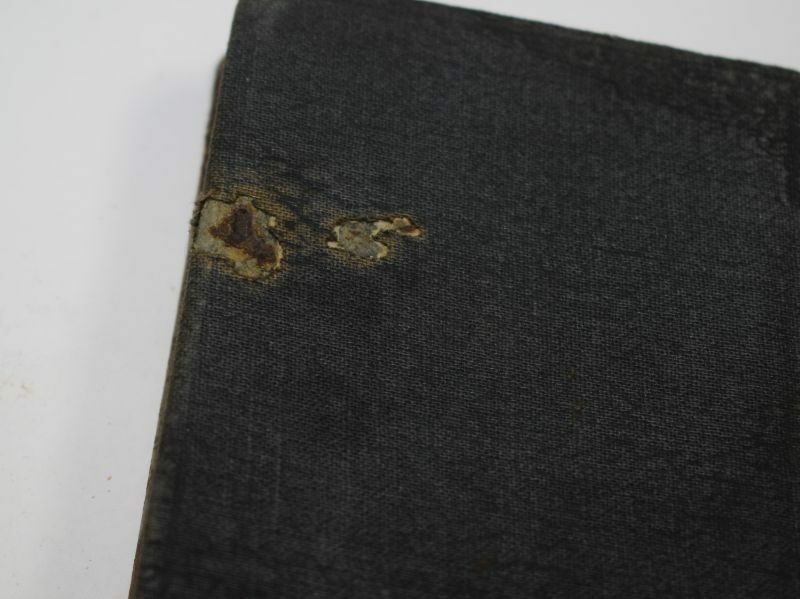 the rest of the book is in good order, the rear page again shows surface marks. 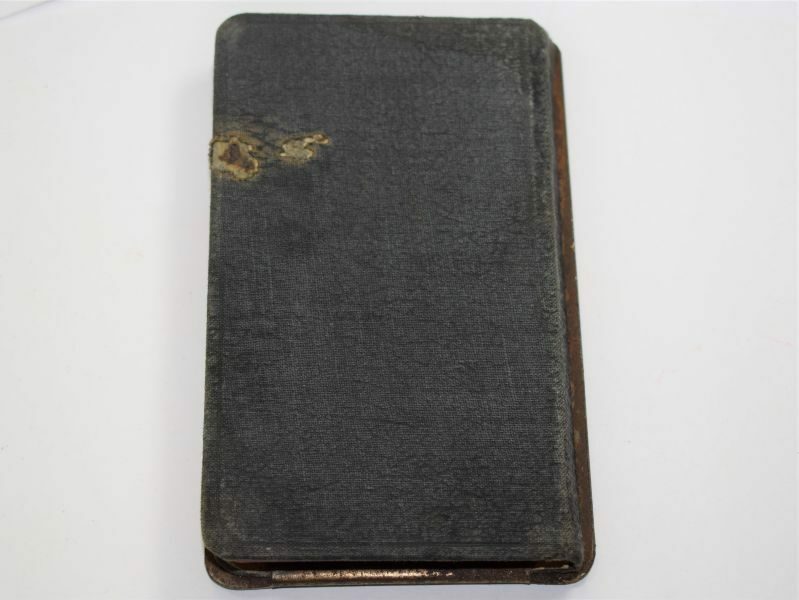 the rear cover is good with one area of wear (see photos).